Haven’t you heard? Black is the new black! 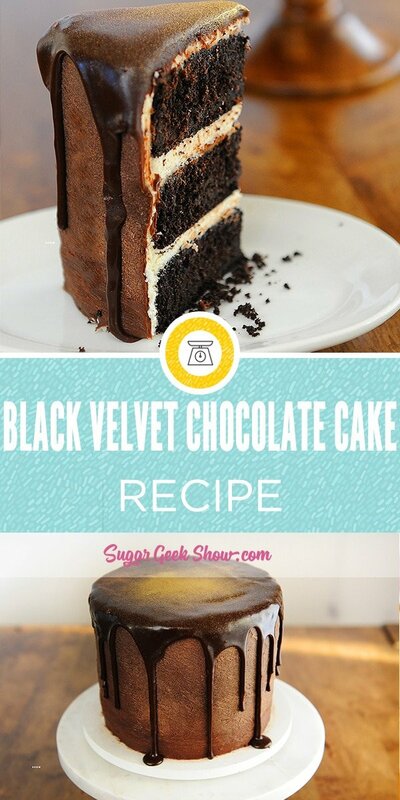 How do you make a black velvet cake without tons of food coloring though? Well the secret is in the cocoa powder! Did you know not all cocoa powder is created equally? You might read our blog post on cocoa powder to find out more on how using dutched or natural cocoa powder can really affect the final cake! 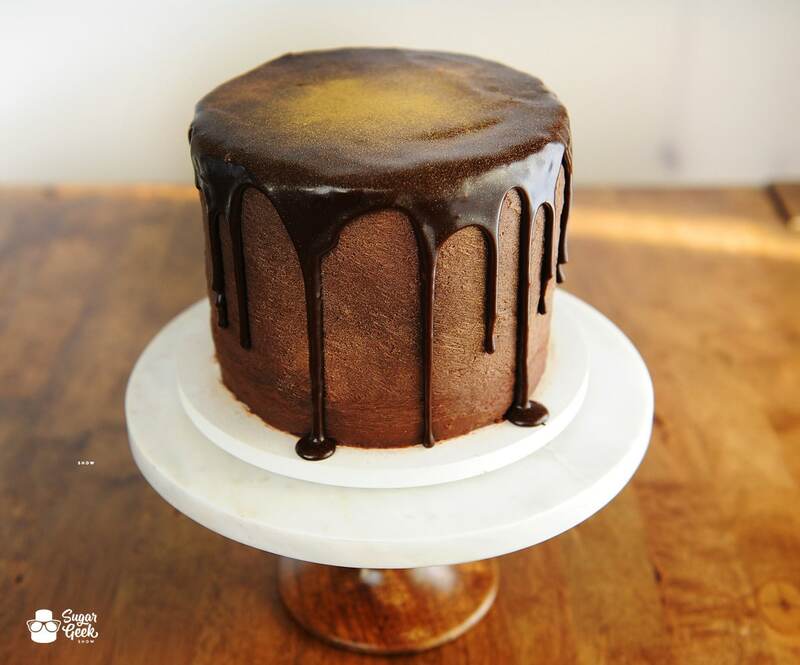 For years I have been making a delicious chocolate cake recipe using cake flour and it has been a huge hit with my brides! I love it! 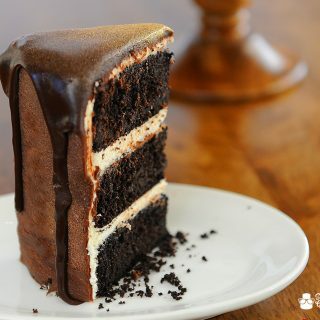 One of the reasons it’s so delicious is that it uses a very high quality type of cocoa powder. The cake is moist, fudgy and delicious and perfect for wedding cakes. Now that I am teaching mostly online sculpted cakes, I have found myself sometimes in need of a more sturdy cake recipe. I am not usually a fan of cake recipes using AP flour but I finally found one that does not sacrifice flavor for structure! 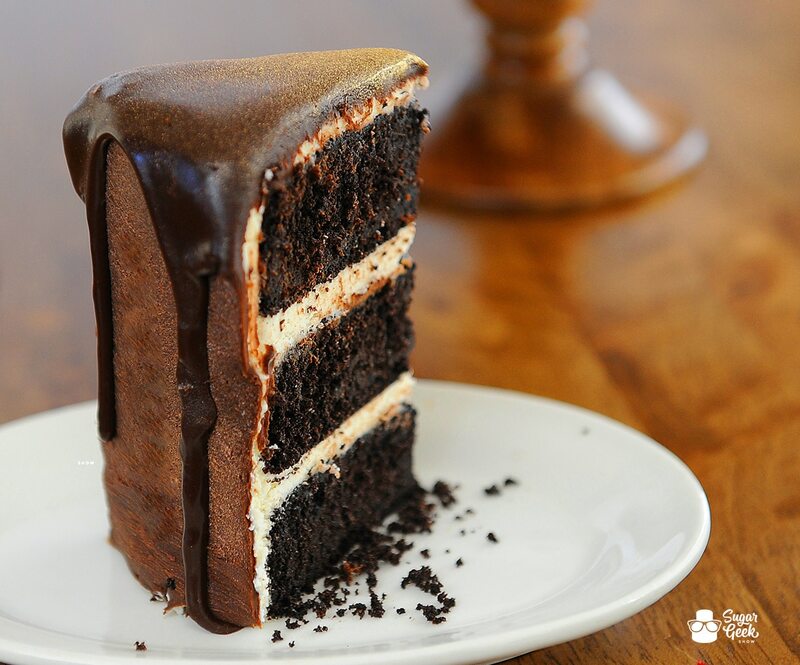 Not only is this black velvet cake delicious, it’s the perfect cake for carving! Best part? The scraps! shhhhh I won’t tell if you won’t tell. If your ingredients just came out of the refrigerator or the coffee is too hot, your mixture could curdle during the process of making the cake batter and become ruined. Add butter to stand mixer and beat at medium-high speed until smooth and shiny, about 30 seconds. Gradually sprinkle in the sugar, beat until mixture is fluffy and almost white, about 3-5 minutes. Add the eggs 1 at a time, beating 1 full minute per egg. Whisk the flour, baking powder, salt, and cocoa powder in a medium bowl. Combine the milk, vanilla extract and strong coffee in a liquid measuring cup. With the mixer at the lowest speed, add about a third of the dry ingredients to the batter, followed immediately by about a third of the milk mixture, mix until ingredients are almost incorporated into the batter. Repeat the process 2 more times. When the batter appears blended, stop the mixer and scrape the sides of the bowl with a rubber spatula. Return the mixer to low speed, beat until the batter looks like satin, about 15 seconds longer. Divide the batter evenly between the prepared pans. Smooth the tops with a rubber spatula. Bake cakes until they feel firm in the center and a toothpick comes out clean or with just a few crumbs on it, about 25-30 minutes. Do you use a simple syrup on your cakes or would you just use the simple syrup as as a spritze to adhere fondant to cakes? I’m a newby, learning so much.. When I made this cake the sides shrunk except the bottom of the cake. Do the sides came out not even. I greased l and flour the pan. What did I do wrong? It always with chocolate but not the vanilla. Still delish tho. Your reply is greatly appreciated. Either over-baking or over-mixing causes the sides of a cake to shrink. What do you recommend for a filling? Hi, lovely cake recipe. I have only one 6″ pan, so I can I bake it at 3 internals. Hope it doesn’t matter if the batter is outside until one pan is baked m then bake the second n third batter. This cake is amazing, it’s so moist & fudgey! I paired it with your vanilla buttercream for a party this weekend & omg amazing!! I can’t rate your recipes enough & look forward to trying the others 💕 thank you again Liz!! What is the beautiful pink filling? All my recipes are by weight so that they turn out. Baking with cups is not accurate and could result in a baking fail and wasting of expensive ingredients. This recipe used to say 16 ounces of butter. I’m guessing the 6 ounces it’s now at is the correct amount? Well I’ve made this recipe countless times with 16 ounces 😂 of butter and it still turned out delicious. It’s even still carvable. Do you recommend using this recipe for cupcakes? When using this recipe for cupcakes, they never fluff/dome. The cupcakes always fall flat. Do you recommend a certain oven temperature, omitting/adding ingredients? I cannot find Dutch process cocoa ANYWHERE within 40 miles. 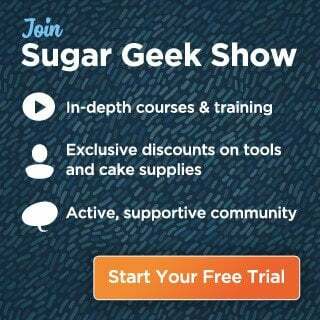 Is natural cocoa ok to substitute? Hershey’s make a special dark cocoa powder or you can buy it online.